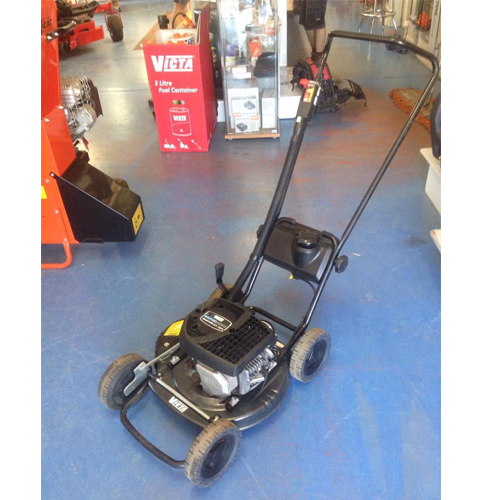 This Victa Mastercut 460 is in great condition receiving a full service and is ideal for rougher properties. The side discharge design enables you cut taller grass and have a more mobile machine to manoeuvre around the yard. The swing back blades give the mower extra protection because if you hit something then the blades a a little give in them so the shock won't go straight up the crank and damage the engine. This machine is like new and has done barely any work!